Motherwort is a sedative herb used for various diseases caused by nervous disorders, mental and emotional stress. Available in the form of tinctures, raw powder, in the form of a powdered herb, liquid extract, tablets, briquettes. Taking the drug in tablet form is very convenient as it requires no dilution and brewing. Besides, in some diseases, such as alcoholism, disorders of the liver, recommended tablet form of the drug. The drug motherwortand is available in a tablet form with a dose of 14 mg of active dry substances. Make motherwort is possible to stabilize sleep, high blood pressure, nervous and mental stress, to enhance contractile function of the heart, during menopause, when the stress in the critical days. In the complex therapy with the threat of miscarriage, increased tone of the uterus during pregnancy, in epilepsy, wegetososudistah disorders, elevated thyroid function. Motherwort relieves inflammation in the gastrointestinal tract, promotes healthy elimination processes, if the violation was caused by stress, tension. Very often, the motherwort used in combination with other herbal drugs or supplemented by b vitamins and magnesium, which contributes to a calming effect. Sometimes assigned to the Valerian, the Lily, mint, hops. For the treatment of vascular dystonia, disorders of cardiovascular activity, nervous tension, should be taken 1 tablet of motherwort 3-4 times a day 30 minutes after meals. 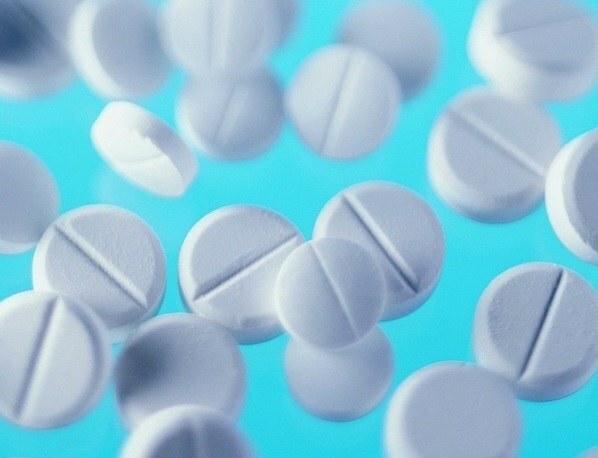 For the treatment of sleep disorders, elevated thyroid function, take 2 tablets 3 times a day after meals. When nervous tension in pregnant women, increased tone of the uterus, threatened miscarriage, intake of motherwort and dose must be agreed with the obstetrician-gynecologist. For the treatment of children used crushed tablets. Children under 5 years should take half tablet 3 times a day after meals. To receive the tablet should be crushed, put in a teaspoon, diluted with water. Children from 5 years can take 1 tablet of the drug 3 times a day. Before taking should consult a doctor. Welcome motherwort is not recommended people with individual intolerance, gastric ulcer, duodenal ulcer, at a reduced blood pressure. To take the pill within one month, then take a break for 14 days and if necessary continue taking. The Leonurus cardiaca is a perennial herbaceous plant height of up to 1 meter, which grows everywhere like a weed, but prefer to settle on vacant lots, hence its name. Harvesting motherwort are doing until the last stage of flowering. Then plant all useful matters are preserved in full, as in the stems and leaves. The roots are also used medicinally, but they are dug in autumn. Motherwort is used both independently and in training camp. To calm the nervous system prepare the following collection. Take 1 tablespoon of chopped herbs motherwort and chicory roots, pour 0.25 litres of boiling water, leave for 1 hour. Take 0.1 liter, 3 times a day 30 minutes before meals. The course of treatment is 1 month. To prepare a soothing drink prepare the following components. Take 1 tablespoon of motherwort and Valerian root, 1 teaspoon of caraway seeds and fennel, ISOLITE in a coffee grinder, add to the pan and pour in 0.25 litres of red wine. Composition put on the fire and bring to a boil, then remove from heat, cool and strain. Drink warm 1 tablespoon 3 times a day. The course of treatment – 20 days, then a week break, if necessary, repeat the course of treatment. In excessive nervous excitability, suspiciousness, and fear is useful to take the following collection. Take 4 teaspoons of herb motherwort and thyme, 3 tablespoons of grass cudweed herb swamp, 5 tablespoons BlackBerry leaves glaucous, chop and mix. Pour a liter of boiling water all ingredients steep in a warm place for one hour, cool and strain. The day drink the entire mixture in small SIPS every hour during the day. The course of treatment is 15 days. Motherwort bitter in the not-too-pleasant smell, so it's often used not separately, but in medical fees. Motherwort preparations in its effect 4 times greater than is universally recognized tool like Valerian. Due to its unique chemical composition of motherwort herb has a deeper calming effect on the Central nervous system. Use it to treat heart disease, stop cough and gastrointestinal cramps and increases urine output and improve the overall health of patients. Motherwort is a herbaceous plant that belongs to the genus of perennials or biennials of the family yasnotkovyh. Motherwort is used for medical or culinary purposes. For therapeutic and cosmetic purposes use the herb, the leaves and rhizomes of plants. Using motherwort to treat many diseases. Motherwort is used to treat disorders and diseases of the nervous system: hysteria, neurosis, epilepsy and neurosis of the cardiovascular nature. Medicine of motherwort help to cope with sleep disorders and headache. Use them for lowering blood pressure and as a means to remove the spasms of the brain. Also this plant is used as diuretic medicine. It helps to cope with gynecological problems: dysmenorrhea, menstrual disorder, painful bleeding. Motherwort tincture is used to treat dermatitis and skin rashes. 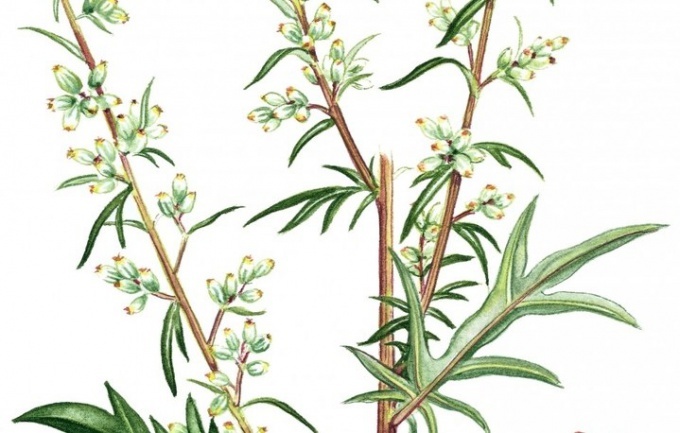 In the popular cosmetic tincture and decoction of the motherwort is used to care for porous, prone to acne skin. Water and alcohol tinctures are used for General strengthening of the nervous system and treatment of dystonia, psychasthenia, various forms of neurosis. With the same purpose, take a bath with the addition of an extract or decoction of this plant. Grass motherwort should be collected during flowering. A positive effect motherwort and certain disorders of the digestive tract. Infusions and decoctions of the plant have analgesic and antispasmodic in diseases such as gastric ulcer and duodenal ulcer, pancreatitis, colitis. To fall asleep would be much easier if you sleep on a pillow stuffed with dry grass Leonurus. Using the broth to stop gastric and uterine bleeding. Lotions with a decoction of motherwort is used to stop bleeding in injuries of the skin. In some cases, the motherwort can cause allergies and also have contraindications, so take it only under medical supervision. It is impossible to use preparations on the basis of motherwort during pregnancy and after the abortion, as they can stimulate uterine contractions. You should not use motherwort to people whose work requires high concentration, because of the ability of the plant to cause drowsiness. "Motherwort Forte" is a dietary Supplement. The tool has a sedative effect and is used to support the nervous system during stress and in a number of diseases. Produced "Motherwort Forte" in the form of tablets for oral use. The effect of the drug "Motherwort Forte" aimed at regulating the condition of the nervous system. The tool normalizes the level of processes obuzhdenie and inhibition of the CNS, well regulates cardiac rhythm, normalizes blood pressure. Also the drug has a General stabilizing effect on the body in diseases of the heart and nervous system, has diuretic and antispasmodic action. 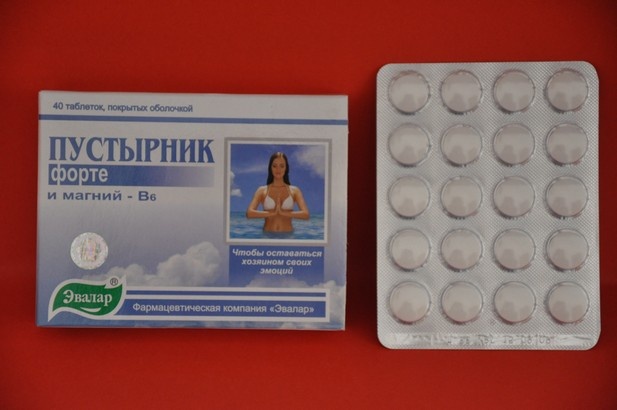 Four tablets of "Motherwort Forte" 100% satisfy the daily requirement for vitamin B6. "Motherwort Forte" is prescribed for the treatment of increased nervous excitability. In particular, the means indicated for sleep disorders, neurasthenia, problems with the cardio-sosudistoi system, triggered by vascular dystonia and hypertension. The drug "Motherwort Forte" taken orally, during meals. A single dose is 1-2 tablets. To drink "Motherwort Forte" is necessary 2 times a day. 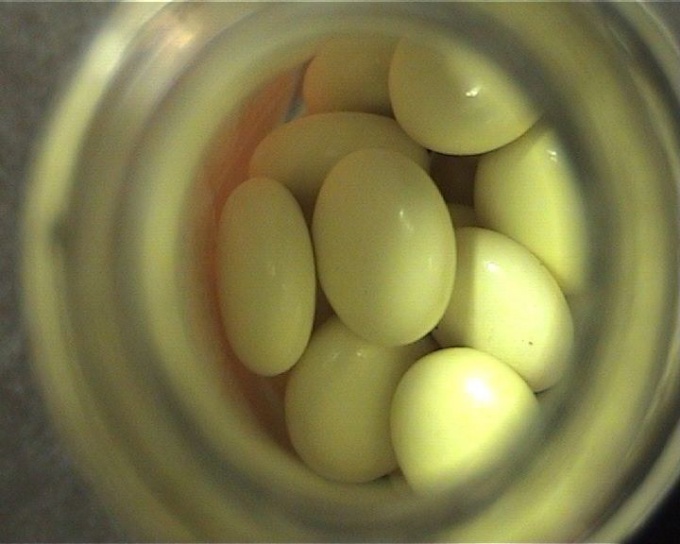 The amount of the drug intended for 1 admission depends on the severity of the disease. The duration of therapy is determined individually. In some cases, to achieve a noticeable positive effect of the drug must be taken for a few days. This is due to accumulation of active substances of the tool in the body. 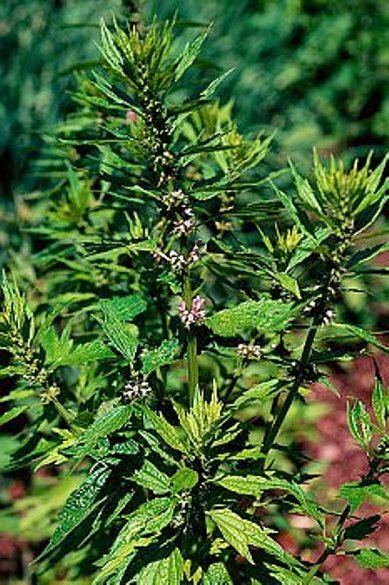 The drug "Motherwort Forte" should not be used in hypersensitivity to its ingredients, and in the periods of pregnancy and lactation. In rare cases, when using this tool, you may experience unwanted side effects such as allergic reactions and bloating. The drug "Motherwort Forte" has a positive effect on the nervous system. The feedback tool is a good sedative. It relieves emotional stress during times of stress, helps to relax. It is noted the performance of the drug during menopause and premenstrual syndrome. Due to its natural composition, "Motherwort Forte" will not have negative impact on the body. The effectiveness of this tool contribute to the present in its composition vitamins – magnesium and B6. Among the advantages worth noting is the release form of the drug: pills are more convenient to use compared to tincture or herb that needs to be brewed. In addition, the pills, unlike the tinctures of motherwort, contain no ethanol, and therefore, they can accept people who are contraindicated in alcoholic preparations. One of the most common functional diseases of the nervous system is neurosis, the cause of which is acute or chronic strain. Depending on what caused the neurosis, the doctor chooses the methods of its treatment, for example, receiving sedatives or antidepressants. Neurosis is often called the disease of the century as they affected the majority of the urban population of our planet. The basis of the neurosis lies in the disparity between the vision of the world, his place in life and the real situation. Most often, the emergence of neurosis provoke unresolvable contradiction between the individual and significant for her events. This painful condition is called neurotic conflict. - OCD is manifested in the always feeling anxiety for minor reasons and committing the same repetitive actions, for example, fear of Contracting a serious illness combined with unreasonably frequent hand washing. The observance of a day regimen, a balanced diet, regular intake of vitamins, physical exercise and breathing practices reduce the likelihood of neurosis. If you are in a stressful situation, can lead to the development of neurotic conflict, it is recommended not to drive the problem is inside, and try to solve it by any means. - 6 g of sodium bromide, Valerian root, flowers of Lily of the valley, motherwort herb ordinary (1 tablespoon) pour 200 ml of water. However, the mere use of sedatives fees and drugs will not help to remove the neurosis. Valerian and motherwort are great help for insomnia, a small stress, but such mental disorders as neurosis they cure not. Developed a neurosis is treated by different methods, but each of them must combine psychological support, rationalization of work and rest and medication. It should be remembered that to choose the optimum scheme of use of drugs and to appoint the necessary physiotherapy can only be a doctor. Self-treatment in this case leads only to exacerbate the problem.